Walk those blood sugar levels down. A very small (six people!) study out last week revealed that type 1 diabetics might benefit from exercise. Often, studies confirm what people have known for years, but additional confirmation can be comforting. The study comes with the usual caveat – further research is needed – but what it basically says is that the six people with type 1 diabetes who were monitored over three months had better blood sugar control, needed less insulin and had fewer hyperglycaemic episodes than the seven who did no exercise”. The study was carried out by American and Italian researchers. It focused on middle-aged people using insulin pumps. It gathered information on metabolic activity, and inflammatory and autoimmune parameters. The researchers concluded that studies on greater numbers of people were needed, but the study’s co-author Dr Livio Luzi said an educational programme for type 1 diabetics that focused on “insulin injection monitoring, diet and exercise” would be highly advantageous. The findings are to be published in an article in Cell Transplantation. Do you need any further encouragement? You could wait for the further studies, or you could just decide exercise will benefit you anyway and do it until you hear otherwise. One further point that the Diabetes Diet likes to make – exercise doesn’t need to be horrible. If you hate huffing and puffing (and I certainly do), don’t do it. If you don’t enjoy something, you are unlikely to keep it up. 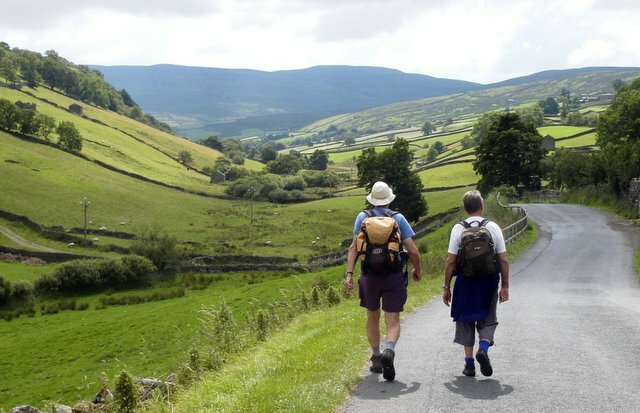 Walking is effective – see this news article on the benefits of a brisk 10-minute walk after meals for type 2s – as is anything that involves moving about, bending, lifting and stretching such as housework and gardening. Lifting weights is also beneficial for anyone with diabetes (type 1 or type 2) because it can help build or preserve muscle mass, which makes you more sensitive to insulin.